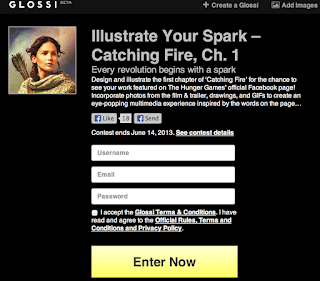 Welcome to District 12: Illustrate Your Spark! Illustrate your spark! 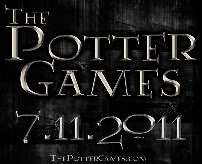 The new Catching Fire poster Lionsgate revealed today was inspired directly from chapter 1 of Catching Fire. Now, they have launched a contest that encourages fans to "Illustrate Your Spark". 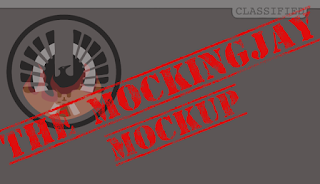 We know The Hunger Games fandom is chock full of talented artists and graphic makers so we can't wait to see what people can create. The platform for this contest is a new site called Glossi, which seems to be a multimedia layout format you can customize. Good luck Hunger Games fans!